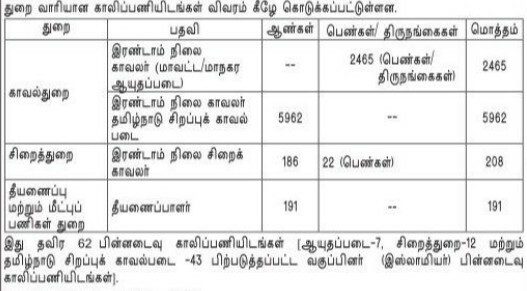 TNUSRB recruitment 2019 – Tamil Nadu Uniformed Services Recruitment Board recruiting 8826 candidates to fill their Constable job in Tamilnadu. 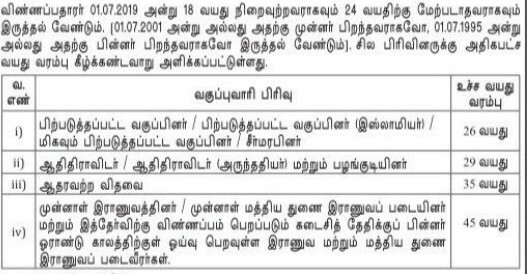 Aspirants are requested to go through the latest TNUSRB job notification 2019 fully, before applying to this job. Tamil Nadu Uniformed Services Recruitment Board (TNUSRB) career is comes under the Government job. This is the best opportunity for the job hunters who are looking for the Career in TNUSRB. Tamil Nadu Uniformed Services Recruitment Board organization job applications are collected by online mode, through http://www.tnusrbonline.org/. 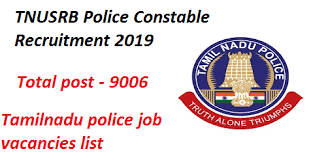 To apply for the 8826 Constable job in Tamil Nadu Uniformed Services Recruitment Board the candidates requested to pay the application fees by notified mode. The payment mode may be both online/offline. Here below the caste wise application fee payment details are given below. Tamil Nadu Uniformed Services Recruitment Board (TNUSRB) may follow the following process to select the candidates. For Accurate information check the official website.